You will earn 0 Catt credits for buying this product. This edited collection will provide support for all those involved in the current period of preparation for implementation of the new IB Middle Years Programme (MYP). The new IB Middle Years Programme (MYP) curriculum for 11 to 16 year olds came into effect in September 2014 and will strengthen the IB’s continuum of learning. This edited collection will provide support for all those involved in the current period of preparation for implementation of the new programme. 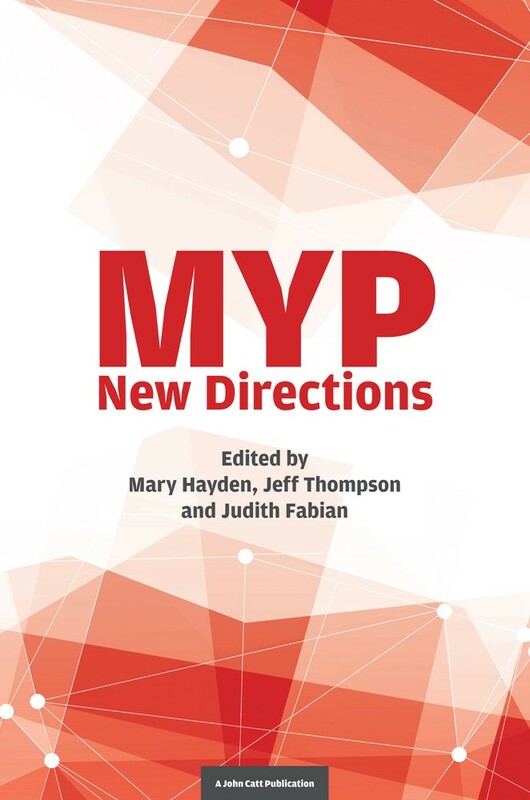 The chapters are written by experienced practitioners from a range of relevant standpoints about different aspects of the MYP. MYP – New Directions examines the changes to the programme that have been introduced as well as those that are currently iprogress, and highlights challenges and opportunities for the future. Contributors: Judith Fabian, Conrad Hughes, Alexandra Holland, Lance King, Marjorie Lope, Patricia Villegas, Gareth Hegarty, Hege Myhre, Michael Huber, Oyndrilla Mukherjee, Anthony Hemmens, and Gillian Ashworth. Judith Fabian taught English and drama in secondary schools in London for 10 years, followed by 15 years as department head and principal in international schools in Jordan, Tanzania and Germany. She joined the International Baccalaureate (IB) in Cardiff in 2004 as Head of Programme Development, and in 2007 was appointed Chief Academic Officer leading the development of IB curriculum for students aged 3 to 19 years. Latterly based in The Hague, she left the IB in 2014 to return to her home in the UK to work as an educational consultant. She has presented to, and worked with, schools and educators all over the world. Mary Hayden is Head of the Department of Education at the University of Bath, where she is also leader of the Internationalisation and Globalisation of Education research group. Her personal research interests relate to international schools and international education, an area in which she has published widely in research journals and books, as well as supervising Masters and Doctoral students. She is Editor-in-Chief of the Journal of Research in International Education, a Founding Trustee of the Alliance for International Education and a member of the advisory boards of a number of international education projects. Jeff Thompson is Emeritus Professor of Education at the University of Bath with particular interests in the fields of international schools and international education. He has published many articles and books in this area, in which he also teaches and supervises Doctoral and Masters students. He has been involved with the IB since its earliest days in a number of roles, including Academic Director, Chair of the Examining Board and Head of Research. He is a member of a wide range of advisory boards for international education projects and holds governance positions for a number of schools.